31st july 2011, 5.30 pm, we are heading to KG.PULAU PISANG JITRA, KEDAH. it was a fun trip because along the way you can see a huge paddy field. well, it's not like i never been on paddy field before, instead i grow up with paddy. 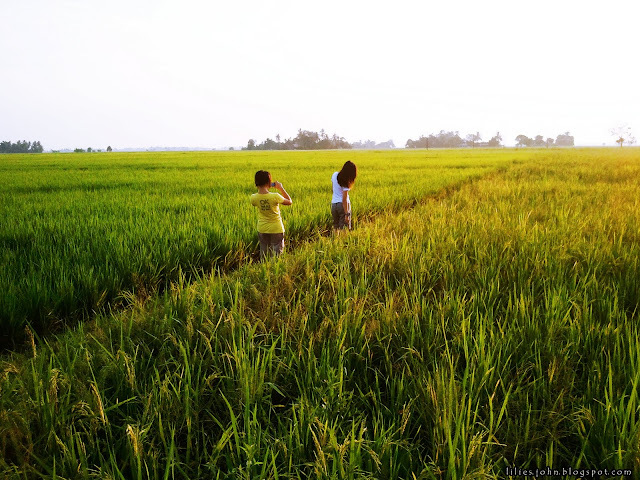 so, on the way to KG.Pulau Pisang, we ask OYEN's friend, mr. Pajen to drop us on the middle of the paddy field to take some picture. it's a MAKING MEMORY time!! last snap! rambutan is waiting! and then we continue our journey to the Rambutan farm. when we arrive at the farm we were all like "WOAAHHHHHHHHH! too many rambutan!!" 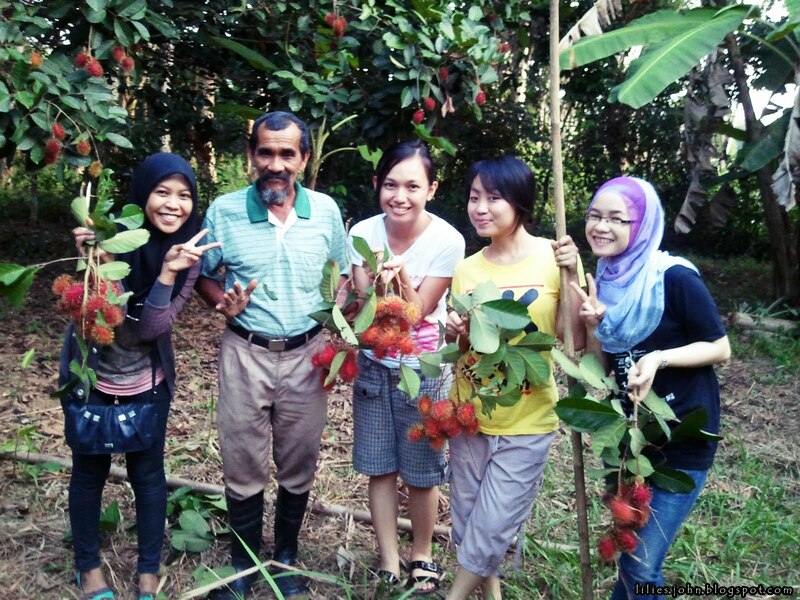 the PAKCIK said they have at least 20 tree of rambutan in the farm. wasey, banyak o... we arrive a bit late at the farm and it's getting dark. we tried to get as many as possible but we only manage to get 2 plastic of Rambutan. but the mosquito there was seriously violent! there are all over my leg. hmmm.. i should've wear long pant.. huh~ =_=". that's just a few of them. even so, we still happy that we get the rambutan!!! not enough with rambutan, the Pakcik gave us CEMPEDAK!! hmmm harum semerbak kereta si Pajenn. keke..
the Pakcik said, if we arrive a bit early he would've taken us to the Durian farm!!! so, we went back to Alor Star with a happy faces!!! punya sporting tu angkol.. ^_^.v..
wooooo semenanjung musim rambutannnn....sini sabah blom lg....nyum3, kirim bah p sini..nah sy bagi alamat sy..hahahhahahhaa....bleh kaitu ah? 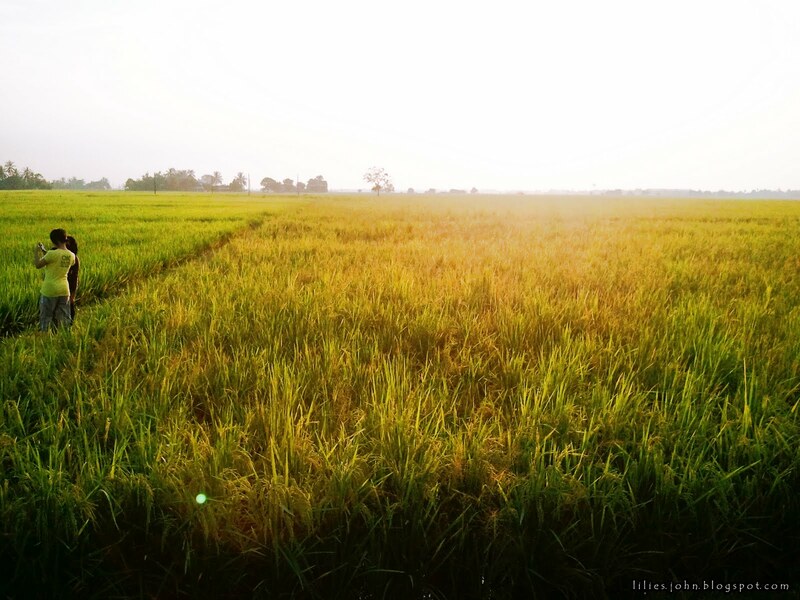 Paddy field! :'( I miss Sabah, a lot! bikin gerigitan btul tu merah2 d pokok..bila la sabah musim rambutan ni..heheh..
rambutan nya enak bgt merah2..